The SeceuroGlide Compact system has been developed especially for garages with severely limited space above the opening. 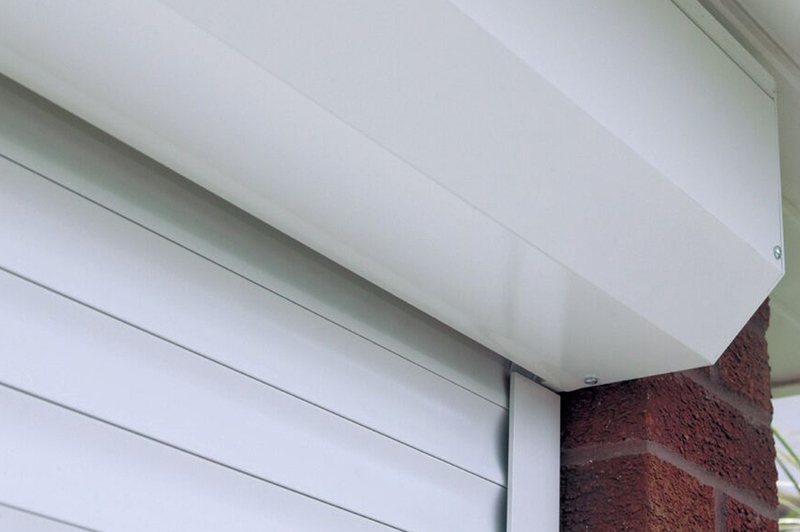 Our Compact roller garage doors utilise an insulated aluminium slat that is significantly narrower than those featured on the SeceuroGlide. 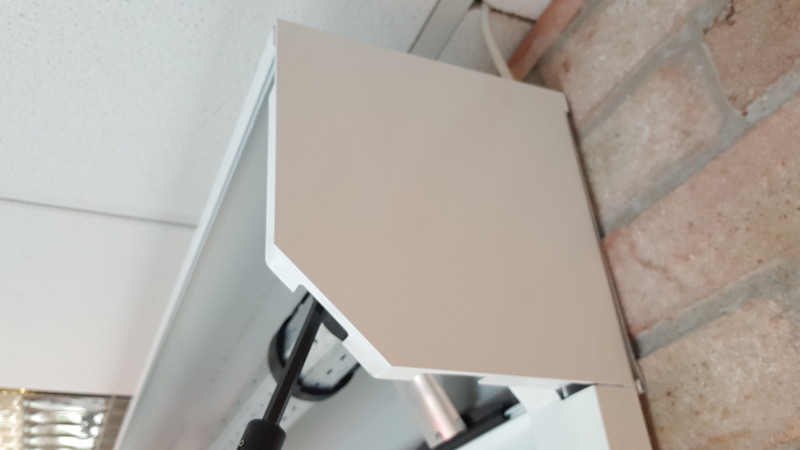 This allows a tighter, smaller coil requiring just 8” (205mm) of headroom, giving owners of even the smallest garages the option of a high quality remote controlled door. Extremely versatile, a SeceuroGlide Compact door can be fitted in-front of or behind the garage opening, or even (height permitting) within the garage opening itself. An extensive range of sizes also means openings of up to 2880mm wide can be accommodated, whilst a neat 90° facia conceals the coil back. There is also a 45° canopy option to completely enclose the coil. 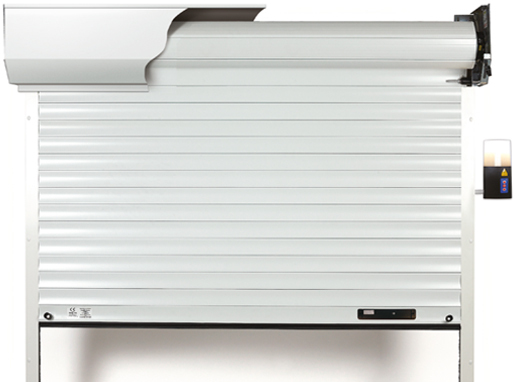 Owners can now enjoy the luxury of a remote controlled garage door with SeceuroGlide Compact’s smaller slat profile. Just 8” (205mm) of headroom is required. Compact doors are available in ten paint finishes and a choice of over forty woodgrain finishes that combine low maintenance with durability. 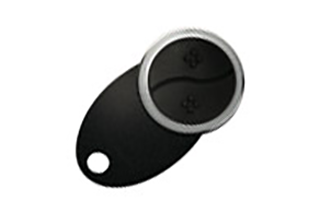 Each door is supplied as standard with a SeceuroSense receiver with built in courtesy light, your choice of two key fobs an optical safety edge and an internal manual override. 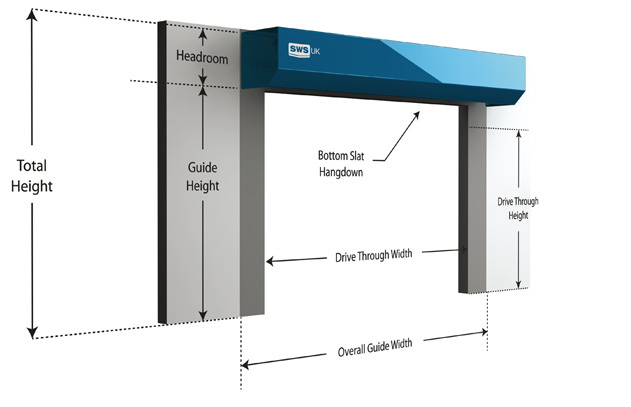 Use the interactive diagram below to learn more about the SeceuroGlide Roller Garage Door with our 9-point guide. SeceuroGlide Compact comes with either a half or full box. 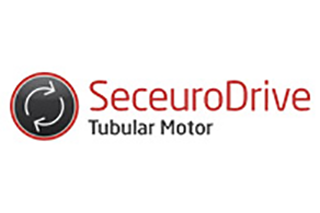 SeceuroDrive range of powerful motors make a reliable choice for the SeceuroGlide roller garage doors – even better with a 7 year warranty. Making your garage a safer place when parking at night SeceuroGlide utilises the tried and tested SeceuroSense control unit, which combines a courtesy light with both remote and push control functions. SeceuroGlide offers unrivalled security. A unique end plate system secures the door shut every time and means the door cannot be lifted open. 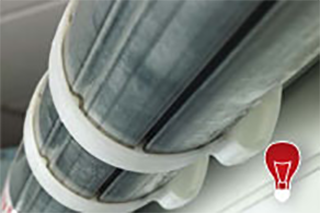 Tighter, space-saving coiling is created through unique helical collars whilst specially flanged rollers limit any lateral movement of the curtain. Leaving more space in your garage door for you. Choose two remotes from our wide choice of remote controls with every door purchased. Open your door without leaving the car. SeceuroGlide is engineered to block cold draughts and keep your garage warm and usable with guide rails that are lined with a dense brush strip and a shaped rubber seal on the bottom slat. 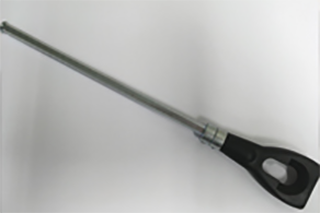 Every SeceuroGlide comes supplied with a simple manual override crank, ensuring you will never be accidentally locked in your garage – even in a power cut. A special Vacation Mode activated by your hand transmitter prevents an intruder from operating the door from the inside using the receiver unit’s control panel. The individual slat system has numerous advantages. Alongside the minimal space requirements compared to panel and up-and-over options you will benefit from smooth, quiet operation and if your door becomes damaged only the slats that are marked or dented need to be replaced. 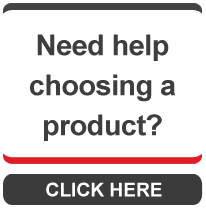 Optional extras & accessories available for your SeceuroGlide Compact garage door. 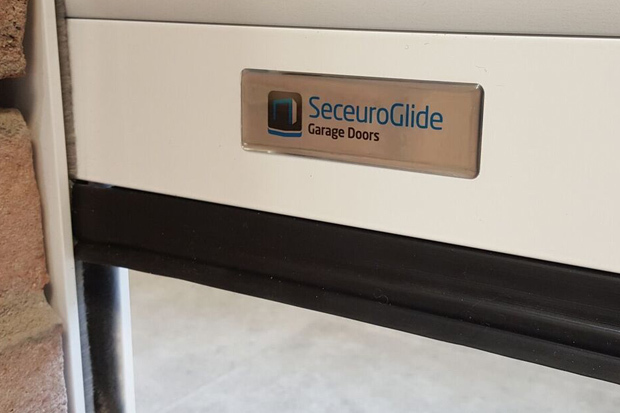 For added convenience, the SeceuroGlide Compact is available with a remote control key pad, giving you an alternative method of operating your door. 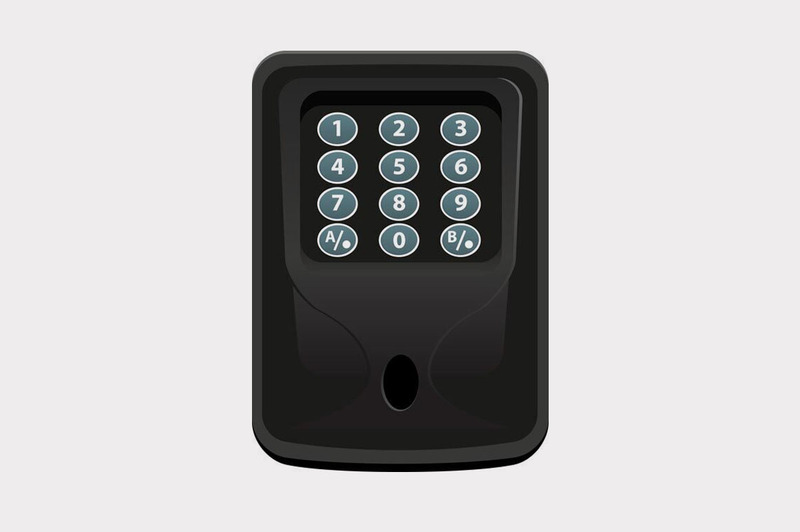 The key pad is dsigned to be suitable for external installation. When you order a half or full box why not add powder coated end plates and guides to ensure your door is fully matched (surcharge applies except for white, brown and green) Plus, when you choose one of our woodgrain coloured doors, your guides and endplates can be provided in a complimentary brown or white finish. A low level external override kit is required if your garage door is the only means of entry into your garage. The override allows you to manually operate your door, both internally and externally in the event of an emergency. 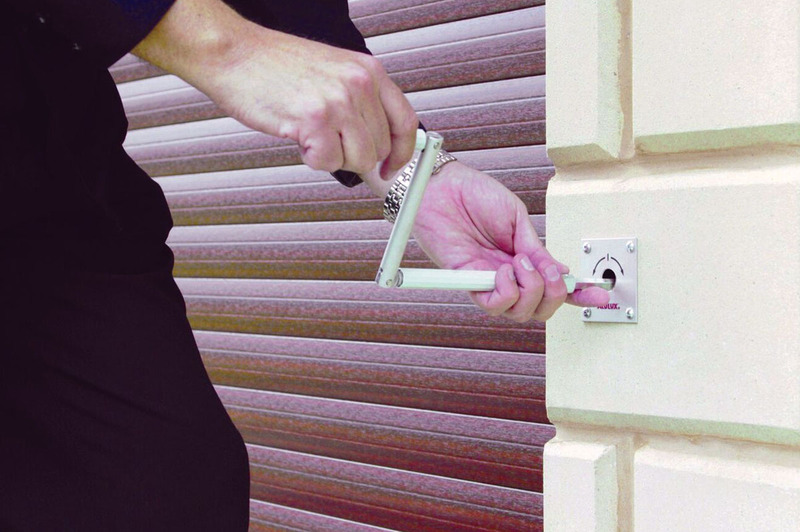 The versatile SeceuroGlide Compact can also be installed externally when a full box is used. Completely concealing the roll, the boxes are supplied in either brown,white or greeen as standard, however all of the plain colour finishes can be applied for an additional surcharge. 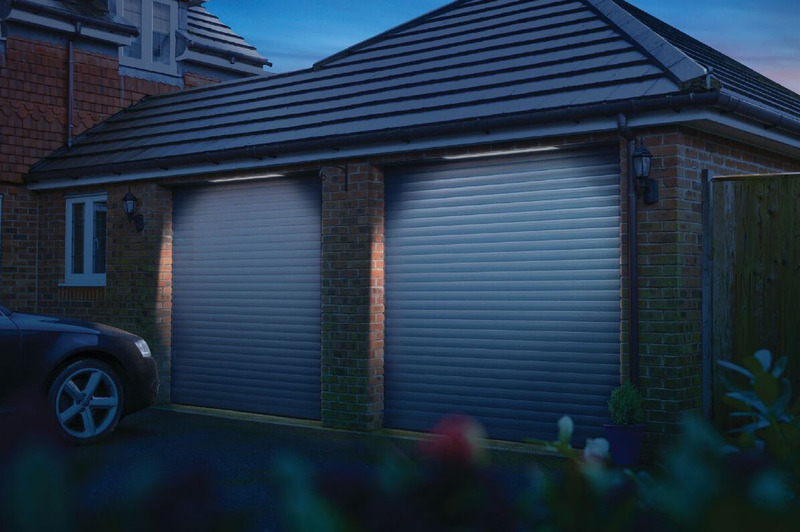 Complete your SeceuroGlide installation with a choice of attractive lighting options which can either be programmed to turn on when you operate your garage door, or remain on continuously to provide ambient lighting to your drive. 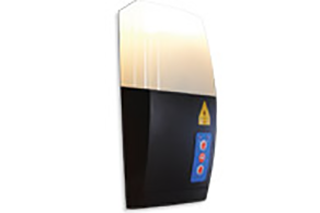 An alarm is also available which will further enhance your garage security. 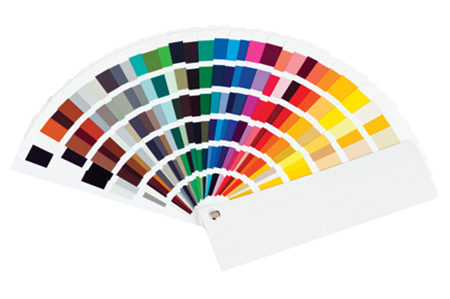 Our wide range of traditional colours allows you to choose the perfect colour to suit your home, whether bold or understated, a traditional colour will offer enhancement to your property. Complement your existing windows and doors with your choice of a wide range of textured woodgrain finishes or a plain white finish. 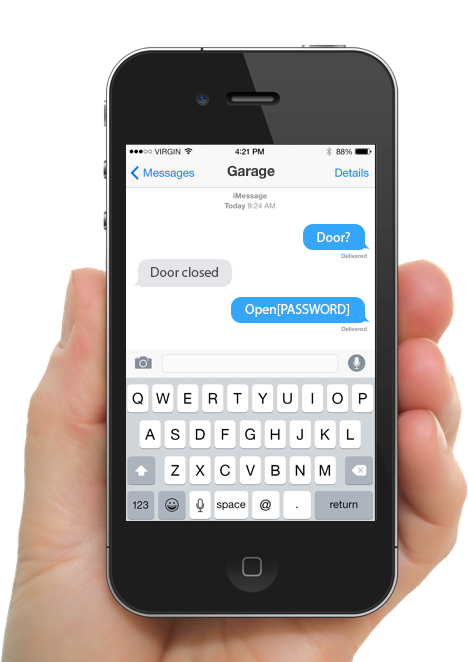 Connect+ allows total control of your SeceuroGlide Roller Garage Door via telephone calls and text messages. 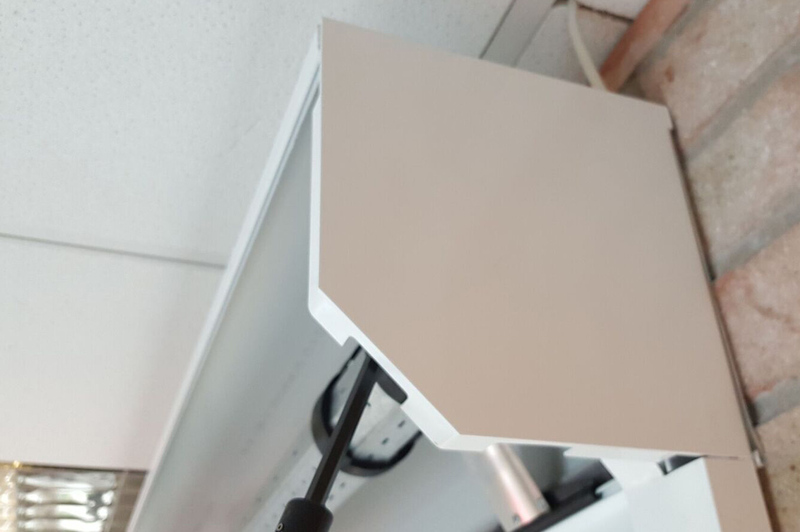 Our SeceuroGlide Connection+ System is the next step in garage door technology. SeceuroGlide Connect allows connection through a Wi-Fi router with any terminal using remote access via internet or Ethernet. SeceuroGlide Connect enables you to use your smart phone like a normal transmitter. 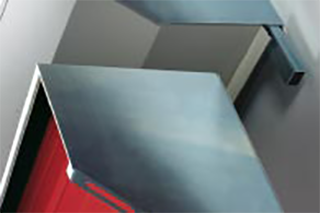 SeceuroGlide Compact requires just 205mm headroom for doors with an opening height up to 2150mm. In applications where the door is installed externally the remote control system must be installed either inside the garage or in a waterproof box (not included). The bottom slat transmitter must always be installed on the internal face of the door and is not suitable for applications where it will be exposed to weather or excessive moisture due to condensation. High winds and high temperatures on wider doors can cause increased deflection of the door. It is the installer’s responsibility to ensure that the door is spaced off the wall sufficiently to allow for door movement during these extreme weather conditions.